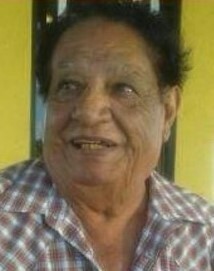 Domingo Muñoz, 82, passed away on Monday, April 1, 2019 in Laredo, Texas. Left to cherish his memory are his sons Felipe Gerardo Muñoz, Jorge Alberto Muñoz, Jose Luis Muñoz, and Domingo Muñoz; sister, Sara Muñoz. Mr. Muñoz is also survived by 8 grandchildren, nieces, nephews, other relatives and friends. A rosary will be recited on Wednesday, April 3, 2019 at 12:00 p.m. at Gamez & Sons Funeral and Cremation Services. Visitation will be held from 11:00 a.m. to 1:30 p.m. Cremation will be held at a later date.